Barry and Sallyanne’s father-in-law, Ezra Joseph Gubbay, a Jew of Calcutta – 1930, 8 yrs. old. My father-in-law, a Jew of Calcutta, gave a copy of this book to me. The Jews of Calcutta had a long and colorful history. They settled there well over two hundred years ago. They came mainly from Aleppo and Baghdad. They were involved in various trading that included indigo, textile, and precious stones. My wife’s family is from Baghdad. 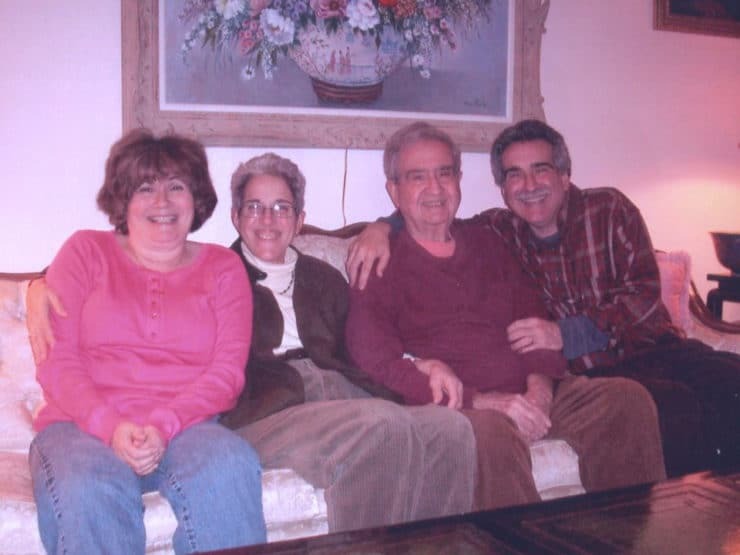 My mother-in-law’s story (Miriam) is equally compelling. 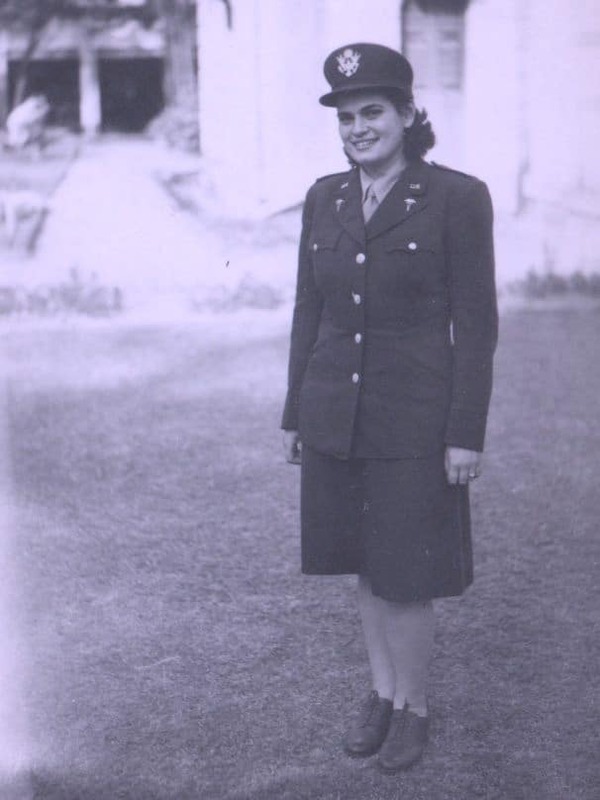 She was born in Queens, NY, and was an army nurse assigned to a forward aid station in Burma, during World War II. 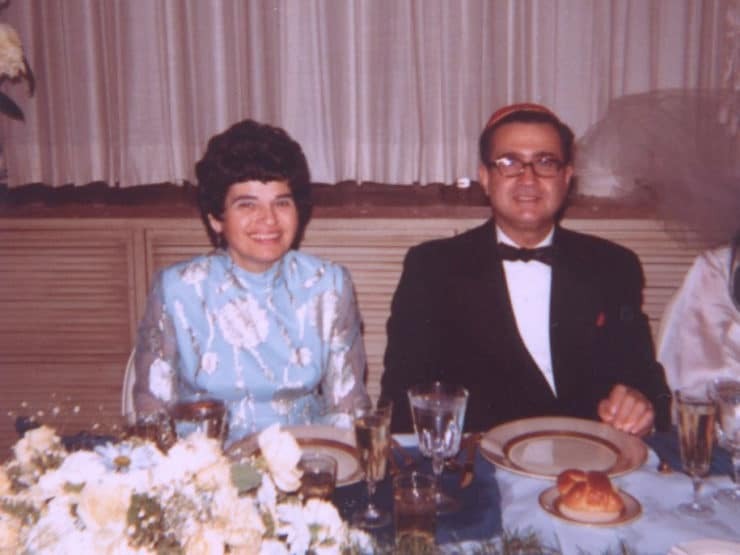 She and my father-in-law met at a Purim party. 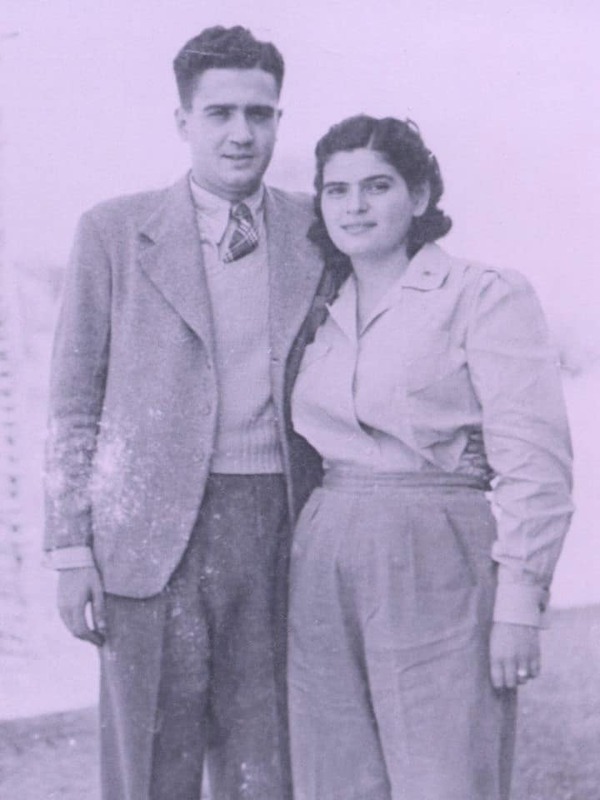 They married in 1945 and lived in India until 1947, whereupon they emigrated to the United States. My wife tells the story that her mom was given a choice– The French Riviera, or New Rochelle, New York. She chose New Rochelle because it was closer to home. My wife was born in Darjeeling, where my in-laws had a summer home. I was intrigued by the email, and by this family. 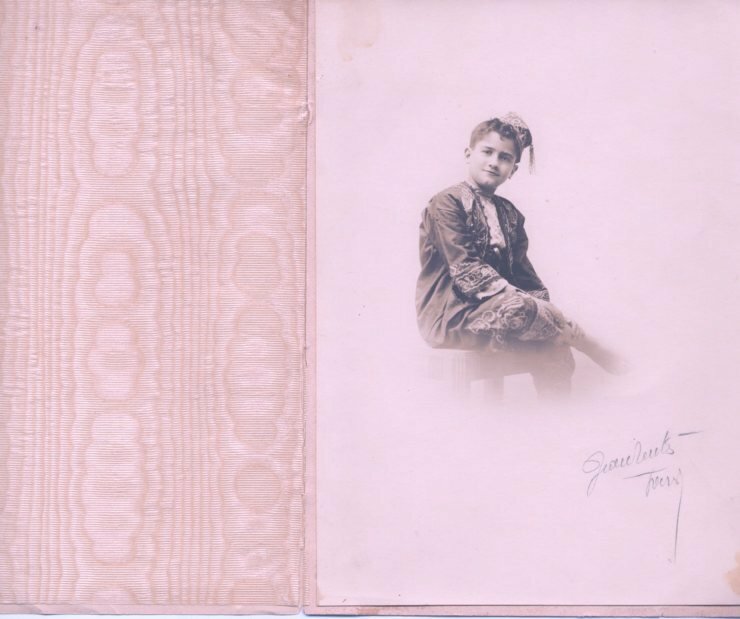 Whenever a reader submits a recipe to me, I try to dig in and find out as much as I can about their family story. Ezra and Miriam’s story is a colorful one, indeed. I emailed Barry and Sallyanne questions to ask Ezra, now 89 years old, about his life in Calcutta. “In our house in Calcutta were two separate cooking areas, one for meat and one for dairy. All the kitchen help were Muslims. All the housekeeping staff and other help were Hindus. The person in charge of meal planning was a Yemenite Jew. My Grandmother and Mother would meet with him each morning to plan the day’s meals. The head chef had some knowledge of European cooking, so the menu consisted of both European types of cooking as well as Indian Jewish cooking. “If you stole someone else’s chef, it was ‘an act of war!’ The two families would never speak to each other again. Chefs were sacred. “My mom would have the chauffeur drive her to the market on many occasions to buy food. The market was indoors and there were many vendors each selling separate types of food: fruits and vegetables, baked goods, etc. Since our family was kosher, the only things my mom would bring home were fruits and vegetables. All baked goods, bread, cakes, pastries, etc. came from the Jewish bakery in town. “My mother was born and grew up in Jamaica, Queens. I believe her mother came from Poland and her dad from White Russia. She was Ashkenazi and my dad is Sephardic. My mom was a nurse at Beth Israel Hospital in NYC. She decided to join the Army. She told me they shipped her out with woolen uniforms thinking she was going to Alaska. Well she ended up in Burma on the front lines. She was a second lieutenant and a nurse anesthetist. She met my dad at a Purim party at Lady Ezra’s house. Lady Rachael Ezra always held holiday parities in Calcutta for the Jewish servicemen and women. My dad was smitten and gave her a ring on their fourth date! “My father-in-law annotated some of the recipes. ‘Best if made well,’ ‘good,’ ‘Yom Kippur,’ and my personal favorite, ‘To Miriam in Hospital Calcutta.’ This was recipe number 21—Stuffed Pigeon. Nothing says I love you more than a stuffed pigeon! The handwritten annotations warmed my heart. They showed how clearly connected the cookbook was to their family culinary history. I felt honored to be reading it, like I was being allowed a glimpse at something truly personal and special. The first time I cooked this Potato Bhajee, I did it according to the vintage cookbook recipe; the only change I made was slicing the potatoes instead of halving them. I couldn’t imagine larger potatoes frying evenly when halved– thick slices seemed like a much safer bet. Perhaps the dish was originally made with smaller potatoes? Unfortunately I didn’t have any on hand, so I went with thickly sliced russets. I really loved the flavor and the concept of the dish, so I decided to make some modifications. On my second attempt, to lighten things up, I decided to “oven fry” the potatoes first– this requires far less oil, and crisps them up nicely. After browning them in the oven, I tossed the potatoes with the softened fried onions in a skillet till it was all nicely cooked and caramelized. The ingredients stayed the same (with a big reduction in oil), only the cooking method was different. The result? 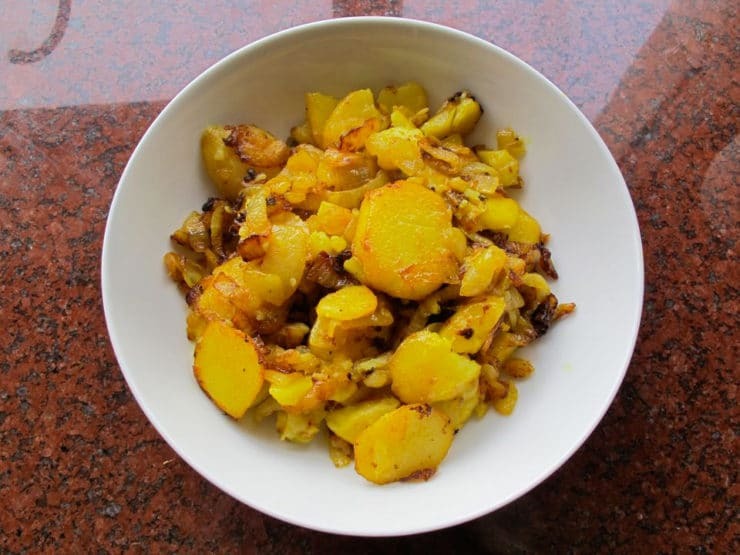 A delicious side dish that is very similar in flavor to the original Potato Bhajee recipe, with far fewer calories. I’ve given you my lightened up version below. If you’d like, you can stick with the original recipe (printed above), which is also very good– just too heavy for my taste. Next time I make this dish, I will likely make one more modification, to double the potatoes and halve the onions. I prefer a ratio of more potatoes to onions. That is a personal preference, though. 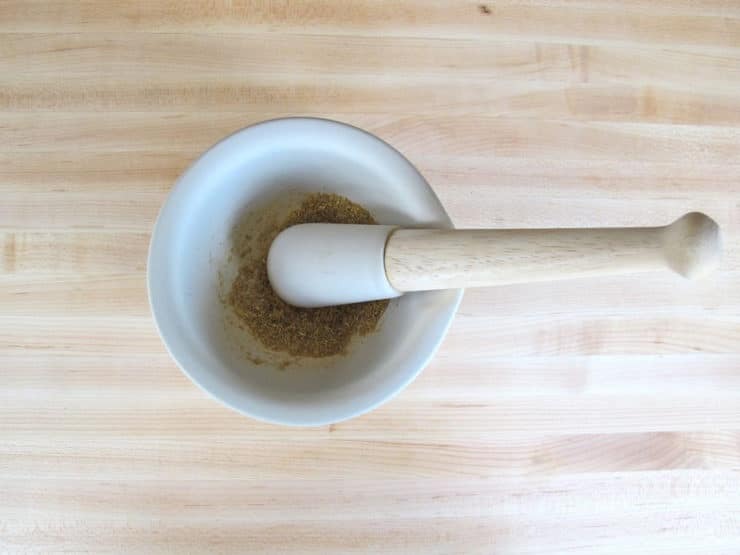 One more note on the cooking process… I used whole toasted coriander seeds and crushed them with a mortar and pestle, rather than using powdered coriander. My Indian Jewish friend Malka (who descends from the Bene Israel Jews) once told me to use whole spices in Indian cooking whenever possible, because they retain more flavor than powdered spices. You can certainly use powdered coriander in a pinch; toasting and grinding the seeds is the preferred method. 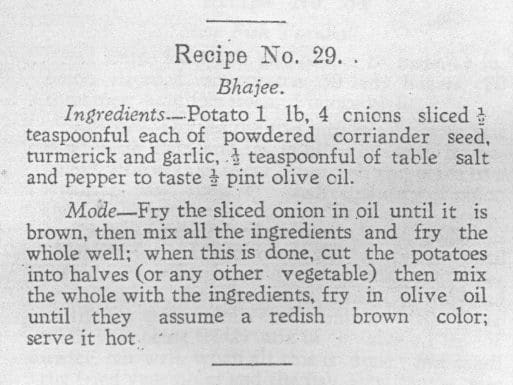 Vintage kosher Jewish Indian recipe for Potato Bhajee from a 1922 cookbook called the Jewish Cookery Book. Pareve. 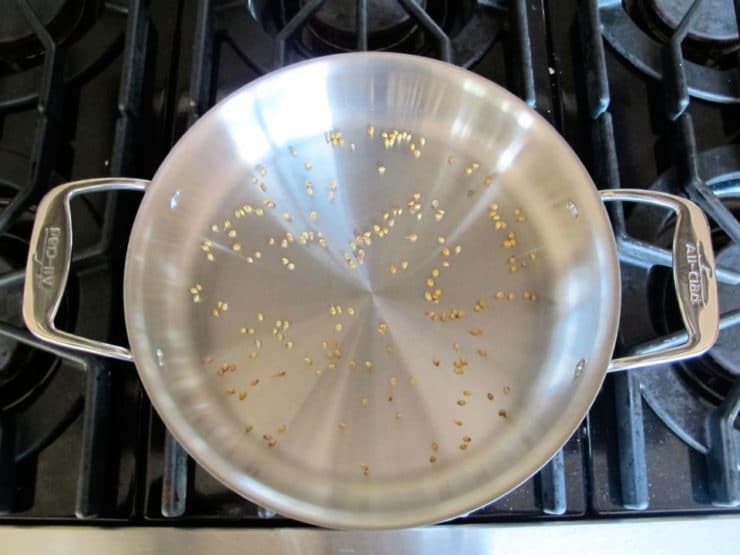 Preheat oven to 425 degrees F. If using whole coriander seed, pour the seeds into dry skillet. Toast them over medium heat for 3-5 minutes, stirring constantly, till fragrant. Do not let them burn. Crush the seeds to a powder using a mortar and pestle or a spice grinder. Measure out 1/2 tsp of coriander powder; reserve. In a small bowl, whisk together olive oil, coriander powder, turmeric, salt and pepper. 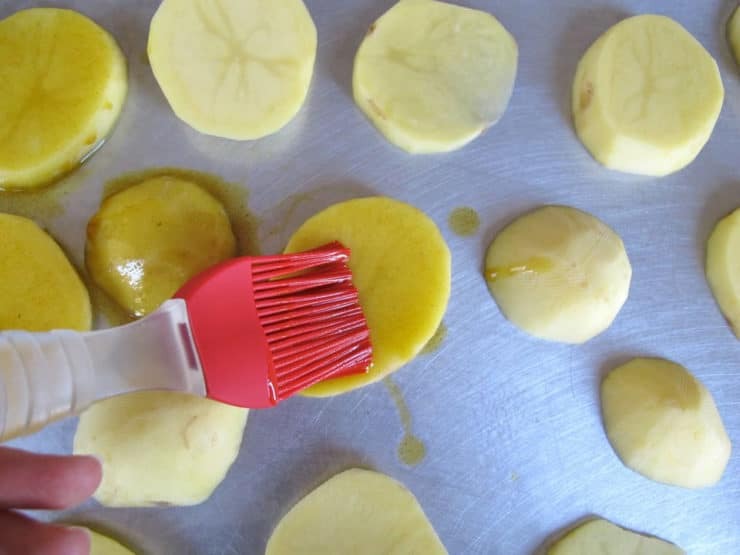 Slice the potatoes into rounds about 1/4 inch thick; make sure all slices are of an even thickness. Place them on a baking sheet. Spray the sheet with nonstick cooking spray, or line the sheet with nonstick foil, if you have it-- it will help keep the potatoes from sticking. 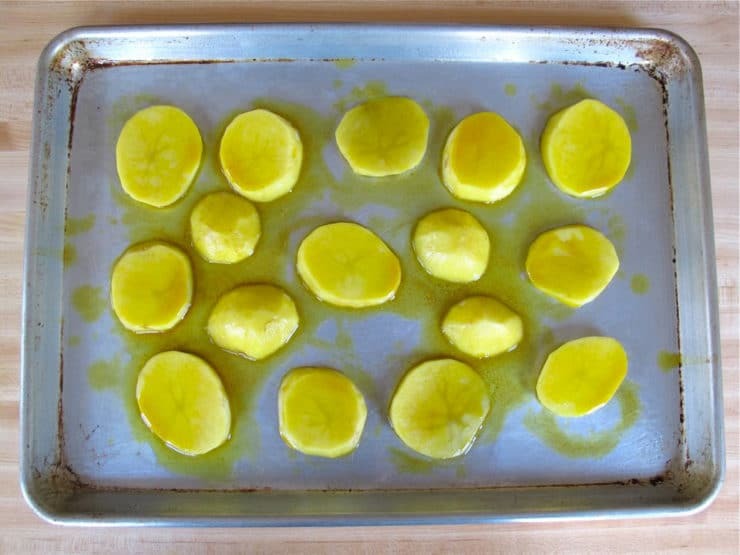 Brush each potato slice with a layer of the spiced oil. Turn the slices and brush the other sides with another layer of oil. You should only use about half of the spiced oil; reserve the other half. Place baking sheet on the middle rack of the oven. 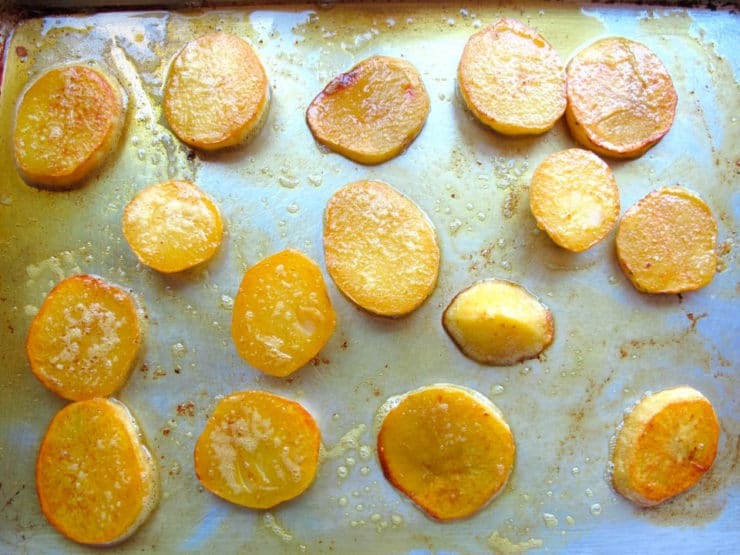 Let the potato slices roast for 15 minutes. 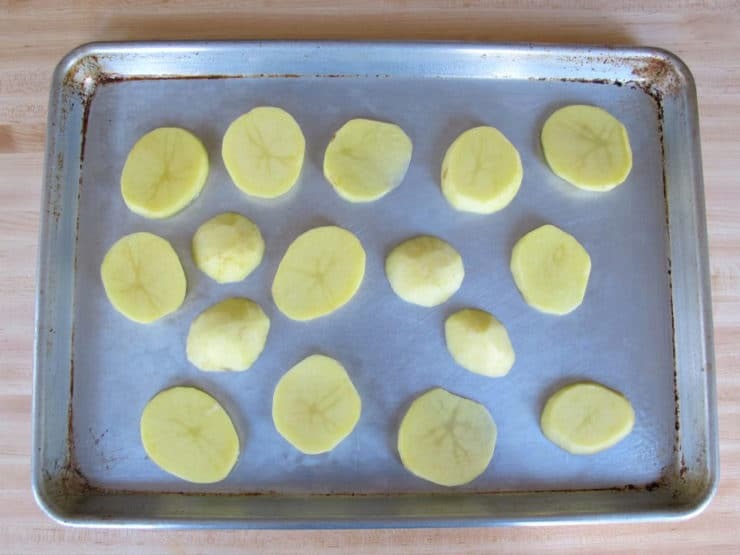 Remove the sheet from the oven and flip the potato slices. Put the sheet back in the oven, turning it so that the opposite side faces the front of the oven, and let it continue to roast for about 10 minutes longer till the potato slices are golden brown and tender. 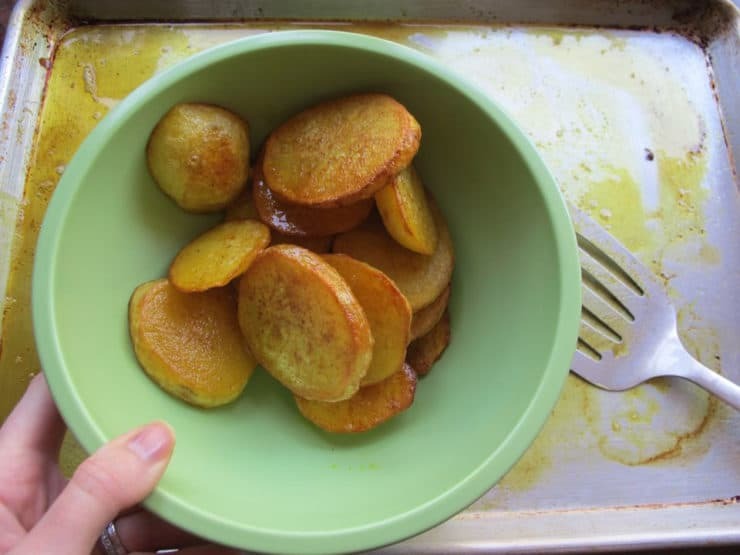 Scoop up the oven fried potatoes with a slotted spatula and place them on a plate or in a bowl. 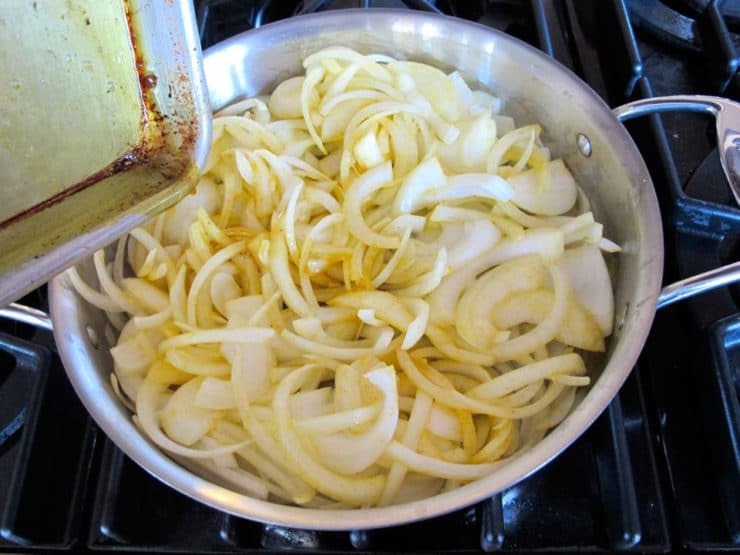 Place the onion slices in a large saute pan. Pour the leftover oil from the baking sheet over the top of the onions, along with the reserved spiced oil. Stir the onions to coat them with the oil. 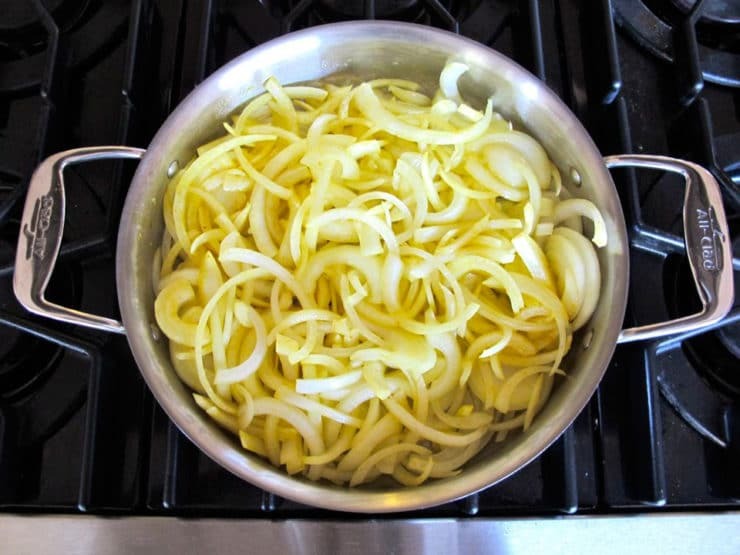 Turn heat to medium and let the onions warm up, stirring frequently, till they begin to fry. 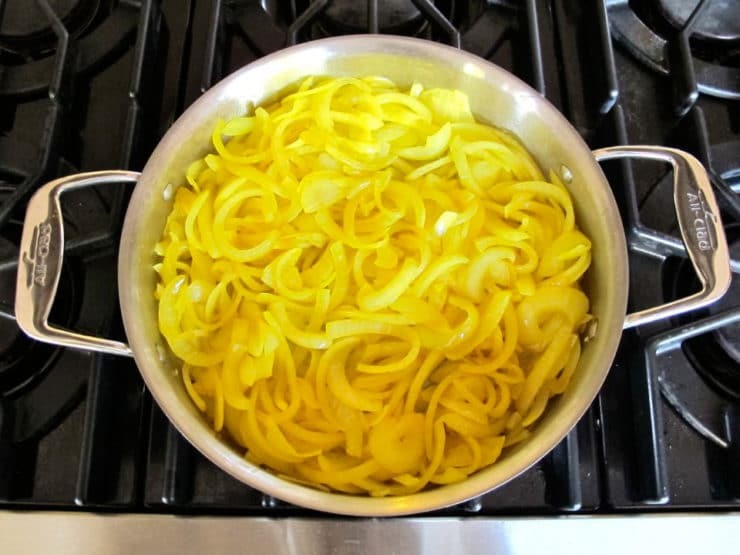 Fry the onion for about 10 minutes till the slices soften and turn yellow from the spices. Add the garlic and continue to saute till garlic is fragrant. 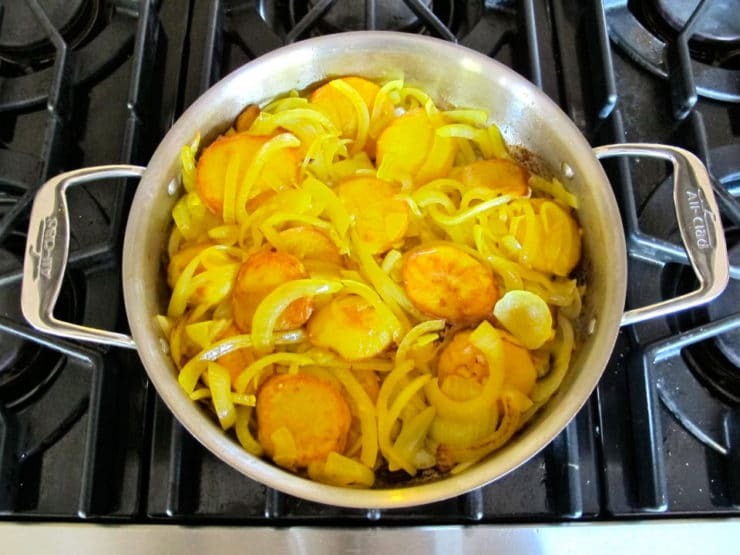 Add potatoes to the pan and gently toss them with the onions, being careful not to break them apart. Let the mixture continue to fry for a few minutes longer until the onions caramelize at the edges. 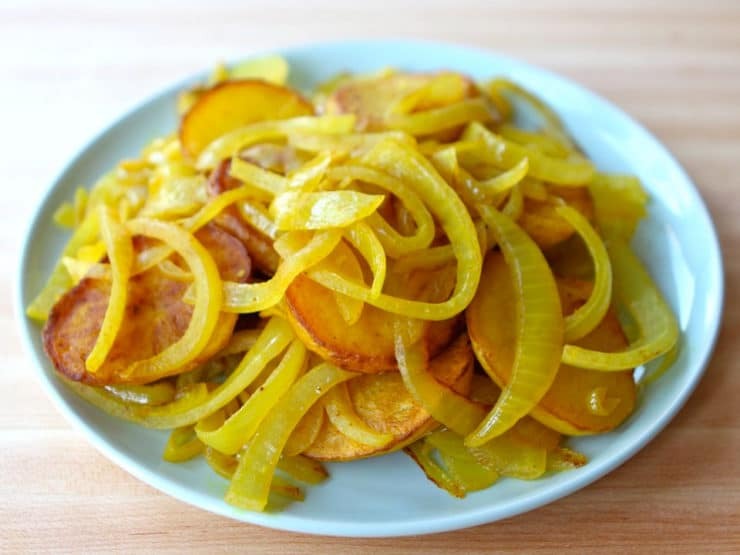 Serve the potatoes and onions as a side dish. What I wanted to say about the Aloo Bhajee, before being caught up in powerful old memories, is that the oil and deeply browned onions have a role. The oil actually forms the “gravy”! You see, these bhajees were often sopped up with flatbreads of various types, be they chapatis, or pita-like Arab flatbreads, or even Yemeni types of breads. The flavored oil, the potato, and the spiced onions are sort of mashed together, and then scooped into fairly large pieces of these relatively dry and absorbent wheat breads. This makes for delicious morsels. The large excess of oil is an ancient element of well-being, and such a bhajee should not be cionsumed in large quantities, the bread being the MAJOR food. In the USA, people DO NOT consume large quantities of BREAD, especially flatbreads, and hence, the ESSENTIAL DILUTING factor is missing. So, in each bite there should be 85-90% BREAD, and a mere leavening of the bhajee mash to moisten the bolus, plus chutney or a yoghurt-based raita, or a salad to further dilute the basic subzi. This is how all “curries” or more correctly, “vyanjana” should be consumed with “anna” or the cereal. Indeed, the Chinese call these vyanjana, sides or toppings for “rice”, by which they mean accessories for rice, noodles, bao etc. The quantities of the these accessory dishes is small, compared to the “starch”, which seems to have acquired deeply pejorative connotation in a strangely heedless modern US. Further, in Laotian cooking, were you to “eat” any of their “soup bases” eat, as I regularly see US consumers do you should be unpleasantly surprised at their concentrated richness. They are meant to be spooned over a large bundle of boiled rice noodles sitting on top of an even larger thatch of shredded green salad of cabbage, mint, sprouts and various aromatic + astringent greens. All of these mute and dilute that rich “soup”, in the same way that Indian “curries” are meant to be diluted with a LOT of rice or bread, plus salads! You are welcome to modify the recipe to your taste, but the very term “bhajee” suggests “frying” and “dry cooking in oil” !! The coriander seeds ideally should be very lightly toasted and for this purpose, coarsely crushed in a heavy mortar. Not powdered, but the coarse grind, will release the correct flavors and mouth feel. Thank you for a wonderful post. I was born and brought up in Calcutta, and counted so many Jewish men and women, old and young, as friends! So, of course, the food and their lives, has always been of great interest to me. Where to start? My first “girlfriend”, when we were hardly 7, and in a far more innocent age more than 50 years ago, in a universe lost for ever: Irene, with flashing violet eyes, who quite intimated me at the time! I won’t offer her last name or that of her mother [ a wonderful nurse who chain-smoked and chatted with me for hours] for that would give away too much! I wonder what has become of all of them! The lovely Renee and Oliver Sasson, the latter a schoolteacher, and the former a most wondeful cook, both of whom migrated to England when they were in their late 30s, perhaps sometime in the 70s? They would be in their late 70s themselves today, and perhaps you could network and find out how they are doing. Renee was/is one of the most sweetly beautiful and lovely woman alive, dark-complexioned but extraordinarily lovely withal, and her husband a most gentle man in all respects. The “Sasson” name has deep roots in India, and I never had the temerity to ask them if they were related in any way to the Sassons of Mumbai! Renee was an amazing cook, and her aloo makallah was the best I have eaten! And, I am a great connoisseur of aloos makallah!! The most colorful of the lot was old Mr. Judah, formerly of Albert David, a drug company. Too much to write about him, but he retired to a grand estate in Panna, Madhya Pradesh, with his daughter and Norweigian son-in law who fancied himself to be Tarzan and indeed tried to live like one, building an amazing tree house, and running around in a loincloth in a land of very harsh sunlight! This Norweigian also took it into his head to design Judah’s home according to his own Norwegian fancies, so if you pulled aside the sliding glass window panes, an opaque nylon counterpane automatically slid into place. Perhaps it has genuine utility in cold Scandinavia, but in one of the HOTTEST regions of India, this device quite completely prevents ANY contact of the rooms with the outside air! Sans any airconditioning in those days, you may imagine what results in the bedrooms, otherwise elegantly appointed. As September rolls around, I can remember the nightmarish nights spent in their exquisite home. Big racks of firearms and Tarzan bounding away into the jungle to bring home mouse deer for dinner!! What a strange situation old Judah had gotten himself into! His grandaughter became an actress in the French cinema, so I heard, and Judah himslef turned up, when 80, with a French wife, also in her 80s!! He was quite the character, and I am sorry you did not get the opportunity to interact with these old Calcutta Jews, especially the upper crust. Another interesting phenomenon in Calcutta were the presence of Jewish women married to Muslims who remained determinedly Jewish, and their children even more so. This is a subject worth a sociological study, given the extreme truculence and intransigence of Muslims re: marriage to another religious group, the so-called “Love Jihad” now stirring so much angst in India. The sons are now doing very well, in major MNCs outside India, but the mother spent her whole life in extreme effort, ensuring that their education and well-being was assured. I am sad that that no worthwhile sociological studies, save the trite and superficial, have been made, and no serious oral histories preserved. With all the monies and outpourings of emotion devoted to Ashkenazim causes and histories that I have witnessed in my years in New Haven,CT, I hope a similar zeal and generosity will prevail in documenting the lives and histories of the Jews of Calcutta. They are not some curious creatures in a zoo situated in some alien planet, but people with real lives, joys and tragedies! Even more sadly, an Israeli geneticist/molecular biologist, Chaya Friedman, a colleague, confirmed for me, that Indian and Moroccan Jews are seen as not quite first-class citizens in Israel, but as children of a lesser God, less civilized and needing to be brought up to speed. Their children live, die and fight in the same wars as anyone else! Some more enlightened souls need to inform Israeli society, where so many positives are marred by a creeping racism. We have that too in fierce measure in Indian society. Therefore, we hope it should not strike deep roots in the new Israel. Be blessed. Thank you for the story, I am always happy to hear stories about my ancestry. I am Indian-Jew (Bene-Israel) born and raised in Israel and now live in U.S.A. I grew up on Indian food and miss it a lot!!! Now I am cooking Tex-Mex food for my Husband. Even if I never make the bhajee, the family story in this post made it well worth reading. Thank you so much for sharing. It was a delight to read this post. I’m an Indian and am not really aware of Jewish life in India. Food connects people and cultures like nothing else. Thanks for the story, again. Really love it to read it all and think about cooking tonight. Then I did it and really enjoyed the Potato Bhajee. But I changed the mixture a bit, added some toasted mustard seeds and less salt. wow. cool post. always wondered about jews of India. please enshrine this book and the story. Probably ezra should write about jewish life in India. Btw shiksa in sanskrit means offering tutelage. here you are offering tutelage of cooking 🙂 I initially clicked this link from google thinking this had something to do with indian. lol. Wow..this is so fascinating. I’m Indian and I know a bit about the history of Jews in India but it’s wonderful to get such an intimate perspective on their lives. Funny thing though, potato bhaji is a very common Indian dish. A dinner favorite, especially with kids. 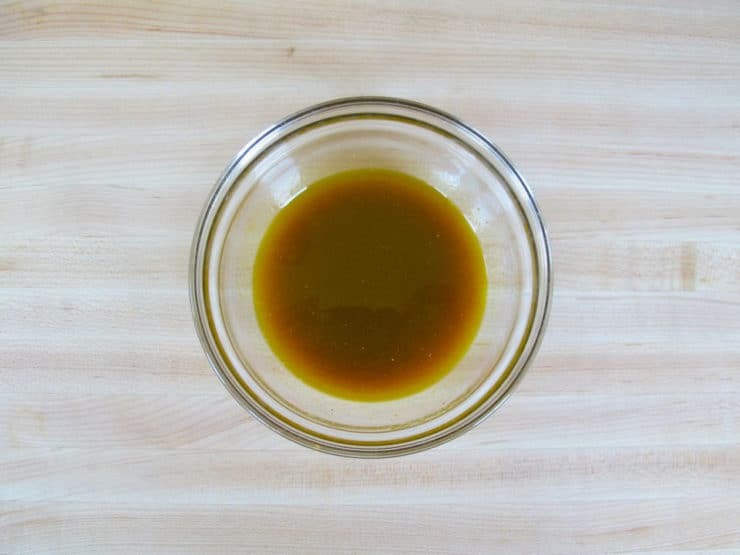 The technique we use is exactly the same as in the vintage recipe but with just a couple of tbsps of oil rather than half a pint. Also add the sliced potatoes with a 1/4th of a cup of water when the onions turn translucent. That way you don’t end up burning the onions. Tori my dear, how I’ve missed you. Been crazy busy. Wanted to pop in and say hello, see what my gal pal has been up to. This recipe is lovely and the tale behind it is heart warming. I love the pic of the family. I love this recipe and especially your modification. I would love to see this cookbook published. We do some Indian cooking as my husband is Indian (and a convert) but I’d love to see these Jewish Indian recipes! Aw! what a beautiful story! and the recipe looks delicious. Reba, I apologize, there was a glitch in my website format and my print button disappeared. It should be back now– it’s a red “print” button on the green recipe card above. Let me know if you need any further help! Great! I live in Middlesex County, NJ – home to the largest concentration of Indian Americans in the US. Love their food. Hi Cindy, I was so happy to read your comment. It made me feel like I was visiting home. I grew up in Edison. Graduated from J.P. Stevens H.S. in 1974, and went to Charles E. Gregory Nursing School at Perth Amboy Hospital. Thanks so much for a taste of home. I LOVE Indian food. It, along with Jewish food of course, are my favourite cuisines. I recently discovered that my childhood neighbour was a Baghdadi Jew from India; wish I had known him as an adult. Thanks for the recipe and history! That looks amazing. I love the color of turmeric. Tori, thank you so much. You did an amazing job with the story. I love how you put your spin on the recipe. Keep up the fantastic work. You are truly a gem. I love your recipes (and your blog: I love poring through vintage cookbooks! ), and must praise the clarity of your photographs, which make each stage accessible even to the relatively novice cook! BTW, We make a similar dish to the potato Bhajee, only we roast the potatoes and onions with the oil and spices in the oven. It is much like any roasted potato and onion dish. This method is easier because it uses less dishes and utensils and it cooks on it’s own. 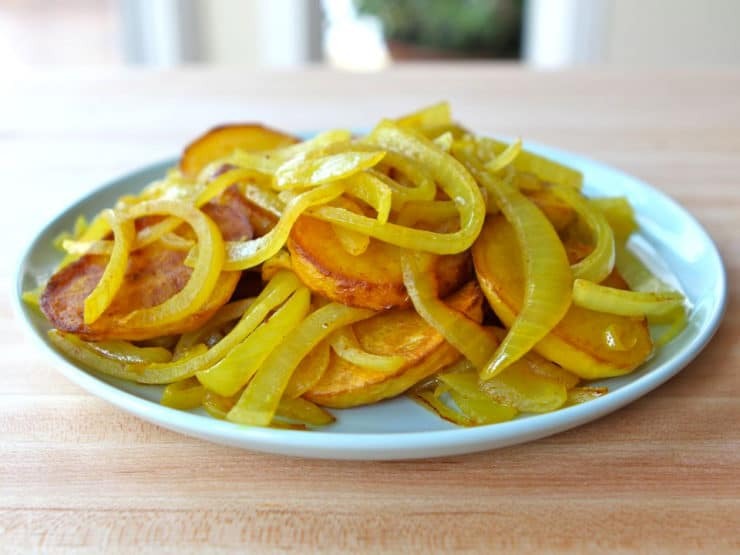 You also end up with partially caramelized onions, which adds sweetness to the dish. Oh my goodness, this looks so very good. I cannot wait to try it!